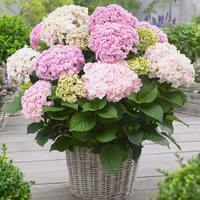 This exciting paring gives you two stunning double flowering Hydrangeas. 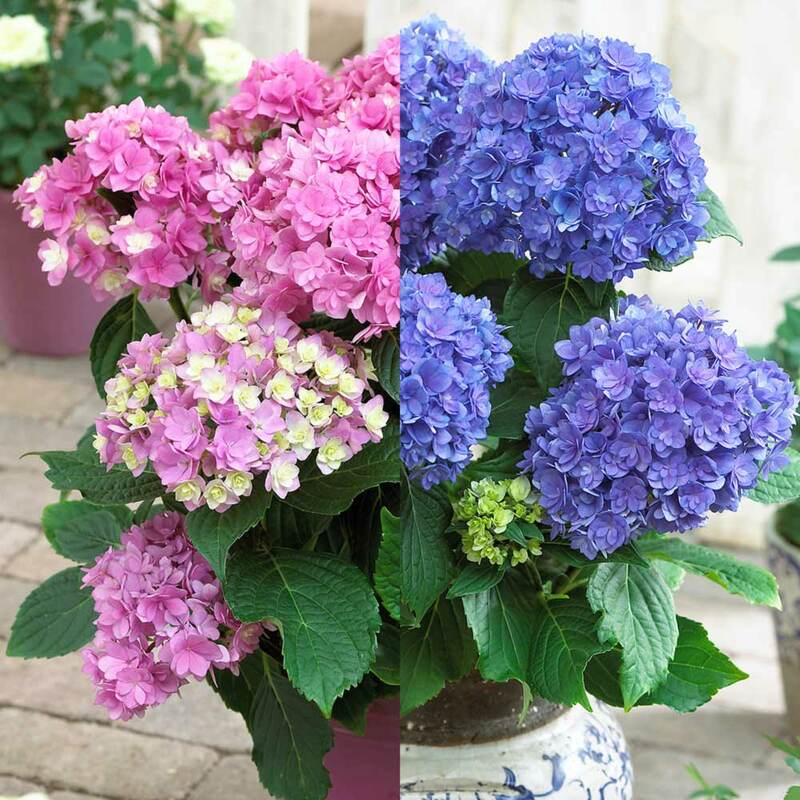 The masses of bright pink and blue flowers look amazing in pots and containers, where they can stand side by side, a feat more difficult in the border where the two plants prefer different soils. 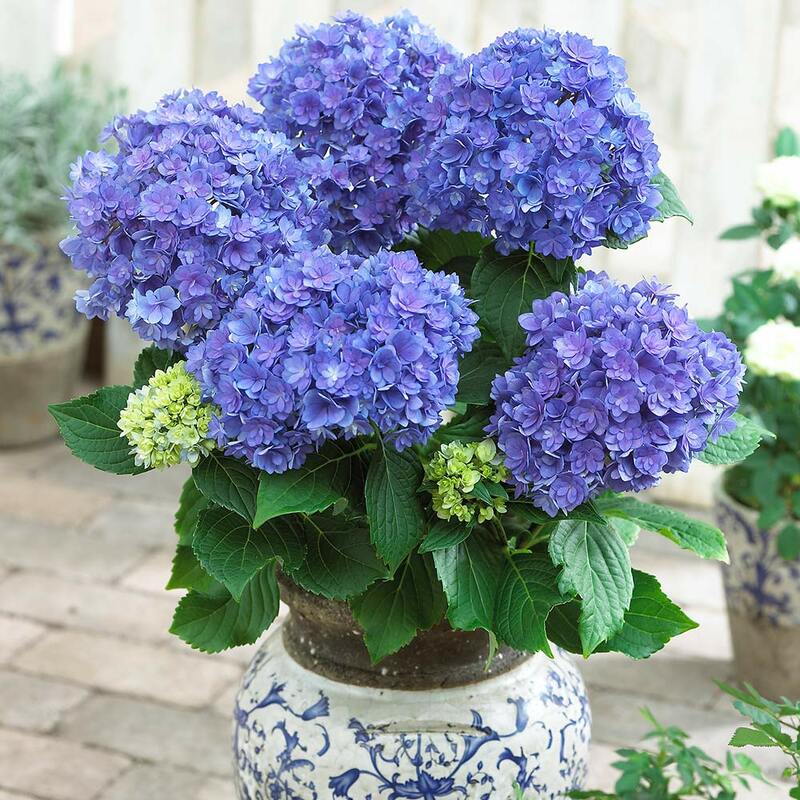 The broad leafy foliage and bright coloured blooms are a great backdrop for lighter or white shaded flowers. Drying the cut flowers is easy and they last for a long time making them ideal in indoor displays. 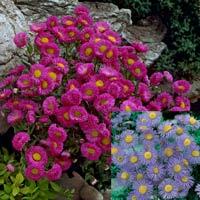 For best results plant in well-drained, humus-rich soils in a cool semi-shaded spot. 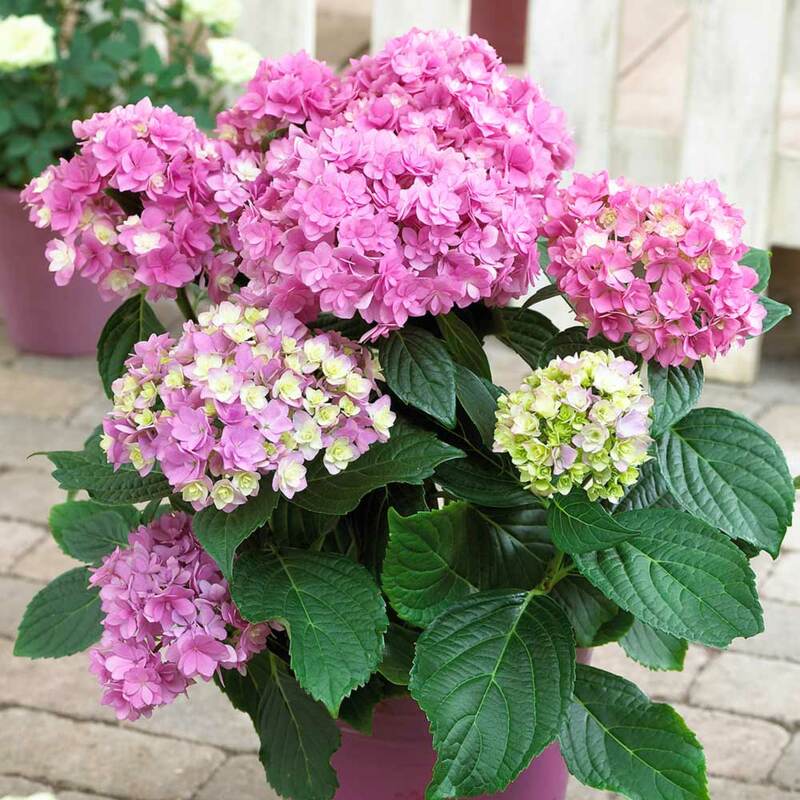 Use rainwater if possible as hard tap-waters can affect the colours, remember pink hydrangea's prefer alkaline soils, blue prefer acidic. Height 80-90cm. The collection is for one of each colour. 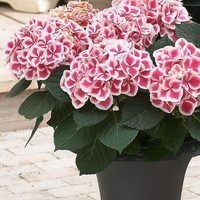 Supplied in 15cm pots. 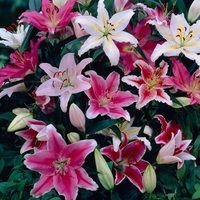 How Supplied 15cm pot plants supplied. Planting Remove from the pot and plant in a hole the same depth as the container, with extra room on both sides for the roots to develop/expand.